Timely publication covering key issues nearing centenary commemorations including, the Dublin Lockout, World War One, the sinking of the Lusitania, the Easter Rising, first votes for women and the Irish War of Independence. 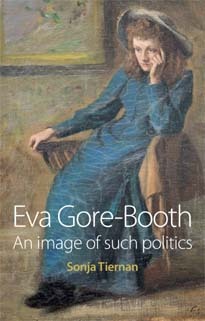 Eva Gore-Booth’s life story is at last being told in this landmark book, Eva Gore-Booth: An Image of Such Politics. Gore-Booth was a prolific and vibrant writer who enjoyed a place within W.B. Yeats’ literary circle. She dramatically rejected her aristocratic heritage in the West of Ireland leaving her ancestral home of Lissadell House. She crossed class boundaries moving to the industrial quarters of smog bound Manchester where she lived and worked amongst the poorest classes. The story of Gore-Booth’s life is captivating and provides new insights into key political issues of early twentieth century Ireland and Britain. This book explores Gore-Booth’s experiences of militant pacifism during the Great War; her campaign for the reprieve Roger Casement’s death sentence; her determination to organise the defeat of Winston Churchill and her unwavering struggle for Irish independence. Her pioneering work on behalf of those marginalised in society such as barmaids, circus performers, flower sellers and pit-brow lasses and her instrumental role in the fight for gender equality in the workplace is examined using meticulous research. 1879: Famine re-visits the West of Ireland and Gore-Booth witnesses the devastation inflicted on tenant farmers on her family’s land in Sligo. 1908: In opposition to the Liberal party’s proposed Licensing Bill Gore-Booth orchestrates the defeat of Winston Churchill at a Manchester by-election. Her campaign to protect the employment of barmaids is supported in the House of Commons. 1914: During World War One Gore-Booth becomes an active member of the No Conscription Fellowship supporting conscientious objectors. She writes pamphlets condemning the war and documents accounts of military tribunals. 1916: Gore-Booth is deeply affected by the Easter Rising, her friend Frances Sheehy Skeffington is murdered and her mentor, James Connolly executed. Her sister, Markievicz is sentenced to death for her part in the rebellion. Gore-Booth leads a high profile campaign for the reprieve of Roger Casement’s death sentence securing an audience with King George V.
1918: Women over the age of 30 receive the vote in general elections for the first time. Gore-Booth’s sister, Constance Markievicz, is the only woman elected though she refuses to take her seat in line with nationalist policies. 1926: Eva Gore-Booth dies and is buried at St. John’s Churchyard, Hampstead. Her life-long partner Esther Roper died 12 years later and they are buried together under a Celtic cross adorned with a fragment of Sappho’s poetry.